In every generation, there is a chosen one, who will stand against the forces of darkness. She is the slayer. 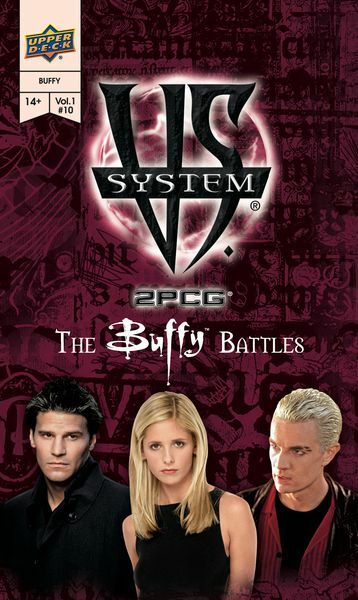 Buffy the Vampire Slayer joins Vs. System 2PCG, expanding the game into a new universe! Customize your team or enhance your existing deck by playing resources and recruiting Supporting Characters like Giles, Faith or Mr. Trick across 2 new team factions. This game-changing set features fan favorite Heroes and Villains like Buffy, Angel, Willow, and The Master with images straight from the show!